Everybody loves Goober. He’s the simple but lovable mechanic on the old Andy Griffith TV shows. 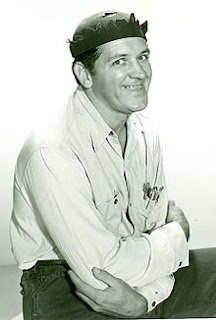 I love Goober, too, but I think he represents a bygone world. Cars used to be simple, and it didn’t take a rocket scientist to fix them. A lovable guy like Goober was a perfect fit for that simple world. Personal finance used to be like that, too. There were a few simple options, and people finally retired when they couldn’t work anymore. So they talked with their friendly banker or insurance salesman, and things worked out fine. Times were simpler, and solutions were, too. But cars are more complex today and so are finances. People live decades after retirement, and there are hundreds – maybe thousands - of investment choices. The hometown bank is a giant corporation, and insurance companies offer a dizzying array of complicated policies. Simple approaches aren’t sufficient in today’s complicated world. Personal finance still isn’t rocket science, but it is science. Our expert team can help sort through the issues, with minimal cost and fuss. We’re lovable, too, but we really understand personal finance and investing in this complex world! One of the most interesting aspects of every presidential election is the inevitable postelection trauma suffered by the roughly 50% of Americans who supported the unsuccessful candidate. Those of us with long memories will recall Americans vowing they would leave the country after George W. Bush won the disputed 2000 election, and again four years later. Judging by President Bush's extremely low profile during the 2012 presidential election campaign, his eight years in office were not considered an unqualified success even by his own party. Yet the country has survived, and one can predict with confidence that it will weather any political issues (and policies) that arise during a second Obama presidency. The biggest economic problems that America faces today have actually accrued slowly, gradually, and under the stewardship of multiple presidents from both parties. There is some evidence that the U.S. electorate doesn't yet understand the high cost of avoidance, of political one-liners offered by candidates from both parties that have trivialized very real long term problems or suggested that they can be solved quickly if the right person is elected. Fortunately, it is possible to understand the nature of these bigger-picture, bigger-than-asound- bite problems--and the solutions. You just have to put up with a lot of charts. The charts can be found here: http://www.businessinsider.com/politicseconomics-facts-charts-2012-6# courtesy of Business Insider. What you see first is a long, relatively smooth avenue of growth in the U.S. economy since 1947, punctuated by a significant drop in 2008 and a recovery to the former highs since then. A second chart shows real per capita income--the amount of money, inflation-adjusted, that the average worker takes home, and here we see a bigger drop for a longer period of time. Perhaps the most remarkable chart shows essentially the same thing for corporations: you see a very steep drop in corporate profits after tax from 2008 through 2010. But then, unlike the worker income, corporate profits zoom back up again, surpassing record highs. What is most remarkable is that most of the rise in corporate profits--literally much more than half--has been recorded in the last 11 years. Before that, corporate profit growth was slow and steady. In the past decade, it has been very uneven and spectacularly fast. The next chart shows that companies are making more profit per dollar of sales than ever before. The next set of graphs is about jobs, and you see a big drop in civilian employment as a percentage of the total population during the recession, which bottomed out in 2010 and continues to scrape along at roughly 58%--well below the late 1990s high of 64%. But if you look at the chart as a whole, those high employment rates were a historical anomaly. The current total employment-population ratio is actually higher than it was at any time from 1940 to 1976, and is well above levels in the early 1980s. In the following chart, we see that wages as a percent of the economy have reached an all-time low (roughly 44%). Companies are sharing less of their revenue with employees than ever before. What about debt and spending levels? You already know that total debt in our economy is at an all-time high, although individual debt has leveled off since 2008. In subsequent charts, this is broken down into household debt, corporate debt, state and local debt, and federal government debt. All of them have risen dramatically over the past 30 years; the lines practically jump off the page. So, of course, you look for where to cut. A chart looks first at the number of state and local workers, and finds that they now represent about the same percentage of total U.S. employees as there have been for the last 40 years. The next chart, the 39th in the series, shows that, despite what you may have heard about a ballooning Washington bureaucracy, the total number of federal government employees has held steady for nearly 50 years, and is actually below levels in the late 1960s. Looked at another way, federal government workers now make up a smaller percentage of the total workforce than at any time since the 1940s. The federal debt problem is not complicated: charts show that spending has gone up as federal tax revenue (due to the recession and slow recovery) has fallen dramatically. The most interesting subsequent chart shows that by far the biggest contributor to the increase-- really, the reason there has been any increase at all--has been an explosion in the cost of Social Security, Medicare and Medicaid. You look at the line rising from 1960 through 2011 and it looks a bit like the slope of the Matterhorn: straight up. These programs now make up a record 16% of all American economic activity--up from roughly 4.5% in 1960. And, of course, every year sets a new record. The inescapable conclusion of this economic graphic slideshow is that corporations have done very well during the four-year term of a president who business leaders have accused of being a socialist. Individual workers have suffered under what many have called a "populist" president. Overall debt has leveled off, but somehow, the U.S. is going to have to gradually fix the out-of-balance social programs, by reducing benefits and collecting more revenue to pay for them. The slide show commentary suggests that it took us 30 years to get into this mess; it may well take us 30 more to climb back out of it. Let's see; that covers the span of between four and seven future presidents, and the White House will almost certainly change hands (or parties) several times over that time period. We will need all of them, plus Congress, to recognize what you now know. And we will need all citizens, even those who were disappointed by the recent election, to continue to push for meaningful solutions rather than take their money and vote to Canada. How much are you paying on your 401(k)? A poll conducted by AARP concluded that 71% believed that they paid no fees for their 401(k). In reality, all 401(k) plans have some fee structure set up. Because the amount of fees paid will impact your nest egg over time, every individual investor should be aware of the fees he or she is paying. 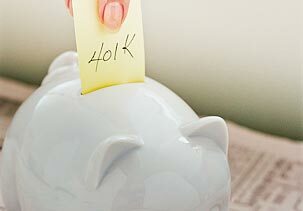 An article recently published by MSN Money called "Is your 401k ripping you off?" further explains the affects of fees in employer plans. It is important to understand the many different levels and types of fees as well. There may be portfolio management fees, transaction fees, commissions, mutual fund expenses, loads, or other types of expenses "built into" accounts. Regardless of the account type, MAKE SURE you know what fees you are paying and seek to reduce those costs.